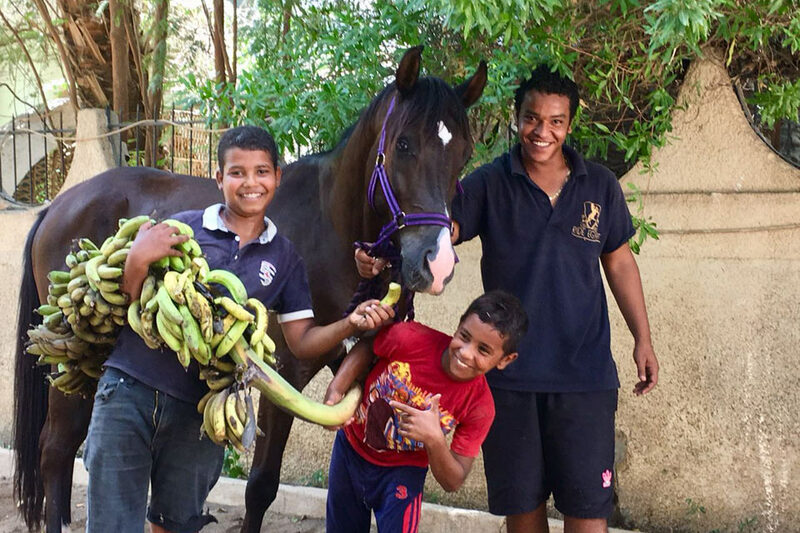 We are a British owned award winning equestrian company offering world class riding holidays and excursions in Egypt. Whether you have half a day or a full day to spare on a riding excursion whilst on holiday, or a week or two to turn into a mini-safari or an adventure-riding holiday, we have something you’ll like! Picture miles and miles of open desert, surrounded by colossal mountains and the burning rays of the sun glistening on the sand. Lush green palm trees blowing gently in the breeze and sheltering the shallows of the Nile where water buffalo graze, and the crystal clear waters of the Red Sea lapping against the fine golden sand. No need to imagine. This is the magic of Egypt. This is Ride Egypt. Visit our news & reviews section for the full ride experiences as written by our guests, or visit us on TripAdvisor to see more. Despite the fact I traveled alone to a country people seem to be apprehensive about visiting, I never once felt lonely or scared. To be honest, I actually felt like part of the Ride Egypt family while I was in Luxor. Emma and her team took great care of me! Never a dull moment. 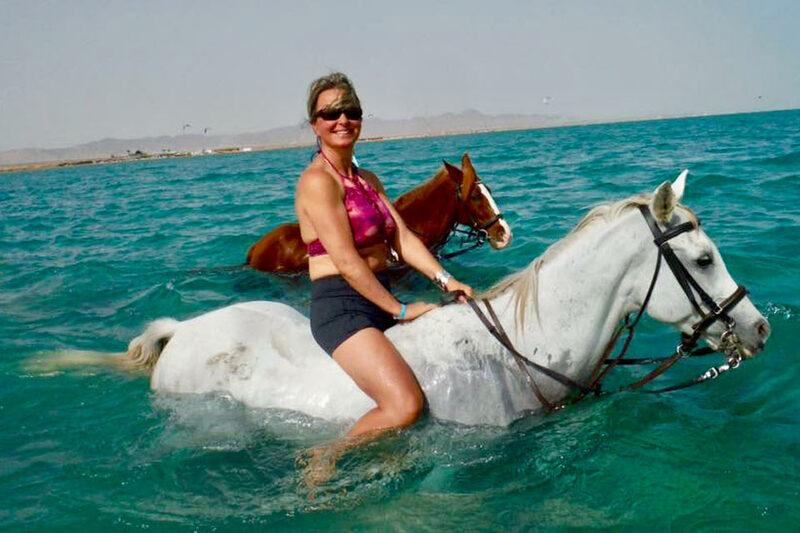 Fast gallops in the desert and swimming with the horses in the Red Sea in Hurghada, exceptional sights in Luxor from the saddle, on foot and on camel, good food in carefully hand-picked restaurants or on a boat crossing the Nile. Most of all, interesting experiences equestrian-wise and in culture and fun. Already planning to go back – would love to go to Abu Simbel next time, and that is the real beauty of this holiday, Emma can tailor your holiday to suit you and you party. Fell in love all over again with Egypt – a thousand thanks to Emma and her dedicated team. We not only learned on Egyptian life today and in the past, but also ate great Egyptian healthy food (big fan) and had a traditional Luxor night with traditional music and dancing + performance of the singing chef! This is the ultimate blend of relaxation, culture, adventure and excitement for any type of person and any confident rider – needless to say I’ll be back as soon as I can! Returning to the Ride Egypt team is like returning to family, and I hope to see Emma, Amel, Sabr, Mandor and the rest of my friends again very soon! Emma and her crew easily gained my full confidence both in riding and in our environment, which allowed me to see Egypt in a way that was unique, beautiful, and will always be a cherished experience for me. 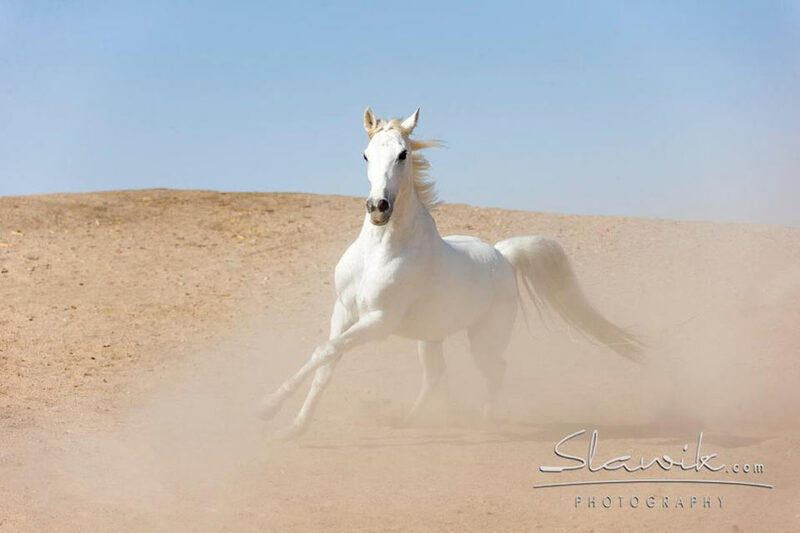 Ride Egypt offer a choice of some of the very best equestrian holidays in the country. Choose a private, tailor-made trip to suit your needs or join a group safari, taking you to famous locations such as Luxor Temple and the ruins of Karnak. These trips will allow you to camp under the stars or sample charming hotel accommodation, eat traditional cuisine, enjoy daily fresh fish, go snorkelling and diving, gallop across the white sands of the desert and swim with the horses in the Red Sea.